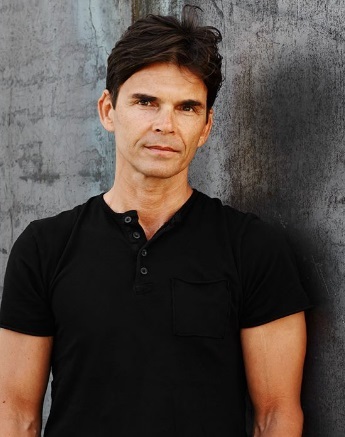 Matthew Kenney is the world’s leading plant-based chef, the writer of several best-selling cookbooks, a culinary educator, and an entrepreneur specializing in the plant-based lifestyle. Matthew Kenney graduated from the French Culinary Institute and, after working in upscale New York City kitchens, opened a number of his own highly regarded restaurants in New York and along the East Coast. He has earned several awards, including being named one of America’s Best New Chefs by Food and Wine Magazine and was twice nominated as a Rising Star Chef in America by the James Beard Foundation. Kenney has appeared on numerous food and talk shows, and regularly lectures on the subject of food and health, including a highly watched TEDx talk in 2011. In 2009, Kenney founded the world’s first classically structured raw food culinary academy. Matthew Kenney Academy has graduated students from over 30 countries. In early 2016 Kenney will open plant-based pizza concept 00+Co, in New York City’s East Village. I’ve always had an interest in nature and in food, much of which stems from growing up in Maine. Some of my earliest memories include foraging with my family. I fell in love with restaurants and the people who work in the kitchen during my first summer job as a dishwasher. Even at a young age I was interested in healthy food, I was always looking to learn about ingredients I had never seen before. I knew my future was in food so I enrolled in the French Culinary Institute in New York. Everything about my life changed when I transitioned to a raw food diet. I felt better, I had more energy, I found new professional inspiration, and I wanted to share this discovery with many more people. I was skeptical of a plant-based diet before having my first raw meal myself. But in so many ways I knew this was a positive change. I found motivation in unsuspecting place, I learned to take risks and to surround myself with good people who challenge me to reach new levels every day. Plant-based, raw and vegan cuisine is the future of food, and Matthew Kenney Cuisine and Culinary academies are crafting this future. The sector is only expected to grow, and chefs are wise to learn the techniques and benefits of the lifestyle. I was a traditional chef for many years. When I left cooking traditional protein I knew this was the right decision for me personal and professionally, although many of my peers didn’t understand how I could make this transition. It’s taken some time for the community to recognize how integral and innovative plant-based cuisine can be, but we continue to see progress in this movement every day. I’m honored to be part of this work. Through our academies and students! Matthew Kenney Culinary encourages students to explore a passion for raw and vegan cuisine through real world applications of designing menus and writing recipes from scratch. Instructors promote creativity instead of teaching recipes with pre-measured and limited ingredients. Instructors teach students how to make adjustments and improvise with seasonal and local produce when dealing with allergies. Chefs often run out of specific produce, spice, ingredients or are restricted by their geographic region or access, it’s crucial to know how to substitute, invent and use creativity to create dishes. We have a number of new projects evolving during the next few months. This includes 6 restaurant projects, mostly on the East and West Coast of the U.S. Some are within well-known retail and hospitality brands, and we’re excited about the broader reach obtained through these types of collaborations. I’m working on the large scale, coffee table style book that I’ve wanted to do for years, and the James Cameron documentary we are in, about the impact to the environment from eating animals will come out in the Spring. Our academy will open in Europe and likely Asia. We are building a growing team of talented, passion visionaries who are growing each segment of our business. It will be an exciting period. We are becoming more focused on licensing agreements, which allow us to focus on delivering our project, whether it be education, cuisine or wellness, and where our strategic partners are responsible for construction, developments costs and day to day operations. Although we are growing quickly, the work we do is still very specialized and the more we can do to create agreements which allow all our energies to be applied toward innovation, the better all parties (and our guests) will be served. Education just may be the most important part of our work. We’re able to reach so many more people through our academies. We have over 50 countries represented from our 3000 plus Matthew Kenney Culinary alumni. Our students take what they learn at the academy, adapt it to their culture, finesse the recipes with their local ingredients, and if we’re lucky, they pass their learning onto their local communities. We are educating ourselves and our students to make sound ingredient choices, to support more sustainable processes and to promote a plant-based lifestyle that is delicious, healthful, innovative and accessible. That is the future of food. Most people are surprised at the depth of flavor we’re able to achieve with plant-based cuisine. Unfortunately, vegan food has a reputation for not being delicious. We’re aiming to change that. In my opinion, plant-based foods are more nutritious, tasty and complex. I’m a big student of the entrepreneurial world and learned long ago not to expect everyone’s motivation to be the same as mine. I’ve tried to create a company that provides a platform for talented individuals with different goals to be able to fulfill their career goals within our infrastructure. This is part of the reason we have 5 distinct business segments, so that we can work to place people in the ideal situations for them, which in turn is ideal for the brand. Many Matthew Kenney Culinary students want to become chefs or open plant-based restaurants, some are searching for their next step, and others are looking to change their lifestyle. Chefs attend to enhance their existing training and bridge the gap between culinary art and nutrition.